Hello Football Fans, The festival of football that only happens every four years is set to kick off in a matter of days. 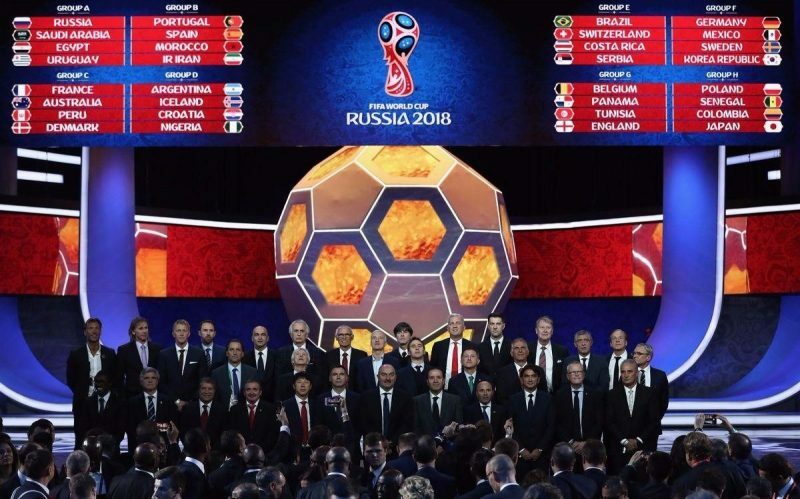 The 21st FIFA World Cup 2018 will be kicking off in Russia on Thursday, 14 June, when the host nation, Russia takes on Saudia Arabia in a Group A match at the Luzhniki Stadium in Moscow. The tournament ends on Sunday, July 15, which is the day of the final. I know you won't like to miss any of your favorite matches. FIFA has promised the most extensive coverage of this world cup around the world. Over 190 networks around the world will have live coverage in different parts of the world and for the first time in history, FIFA World Cup will have extensive online streaming on rights holder websites and mobile apps. If for some reason, you don’t have access to live TV, you don’t need to worry. We are in the age of the internet where ever TV program/show/event is available through online networks and FIFA World Cup is no different. You can access live coverage through several ways. Below are some of the ways and devices you can use to get free live action from official sources. The main ingredient you might or might not need is a VPN account. So we take you through the whole process. UK Coverage Free (Recommended) BBC and ITV have the live coverage rights in the UK and they produce the best coverage for international football events such as World Cup etc. In the UK, ITV and BBC will not only have extensive TV coverage, but they will also show matches live through their online platforms like “ITV Player” and “BBC iPlayer”. Although access to ITV or BBC online coverage is free, but you do need a UK IP address (you have to be in the UK or need a UK IP if abroad). So let's say you are in Nigeria and want English coverage, all you need to do is to buy a VPN (cost around $5 to $10 a month) and get a UK IP address and you are all good to accessing both BBC and ITV online platforms for absolutely free from anywhere in the world. There are several high-quality VPN providers, but ExpressVPN, VyprVPN, and NordVPN are highly recommended ones which will not only get your IP address in any of the top countries like UK, US, Germany etc but also keeps you anonymous. US Coverage: FoxSports has the exclusive rights of FIFA World Cup in the US and they will also be providing live streaming through their official website and mobile apps. So if you are in the US you can access FoxSports online coverage through their official website/mobile app. However, people residing in countries outside the US can get a VPN account and set up US IP address to get access to “Foxsports Go” online how you might require subscription to Foxsports. Below are some other ways and devices you can use to access free live streaming of FIFA World Cup 2018 around the world. KODI is a great streaming platform not only for the latest movies and TV shows but also for watching live sports events such as the FIFA World Cup. 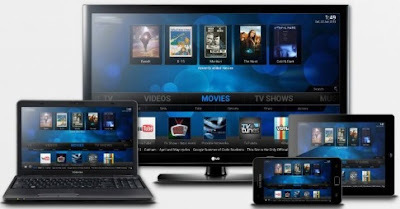 KODI is a free, open-source software which can be installed on any of the TV streaming boxed such as “Amazon Fire TV 3” and “Mi Box”. You can even install KODI on Windows, Mac or mobile devices. Both Xbox One and PS4 come with online streaming capabilities so if you are located in the UK or US all you need is to access BBC iPlayer, ITV Player or FoxSports GO through Xbox One and PS4 to get the live action. However, if you are abroad and want UK/US English coverage you can get a VPN account setup (it's a bit tricky to set up on PS4 and Xbox) but once done, you can surf internet anonymously plus you get an option of UK/US server IP address which allows you free unlimited access to BBC iPlayer, ITV player, and FoxSports Go coverage. The second option is super free, but not reliable. We all know there will be many websites broadcasting illegal streams of FIFA World Cup and they are available through many popular sports streaming sites. However, they are not worth it even if they are free. They come at a cost of intrusive and sometimes abusive pop/banner ads which can not only harm your computer but also steal your personal information. Beside free streaming sites rarely work good enough to watch a full match. You will have to switch, swap, find stream after stream just to go through one match. So why take a headache when you can just spend $5 buying a VPN and get an IP address of a country where the official broadcaster is showing live coverage through their website or mobile app. Moko Live Stream is one of the free online stream apps. With Moko, you have the opportunity to watch the 2018 World Cup, English Premier League, La Liga etc, via your Android device. Note that the app contains ads. You can download Moko live stream app from Google Play Store here. Don't forget to share your feedback with us in the comments section about your streaming experience.